TRILLIONS of dollars globally are priced to Libor, the scandal-tainted benchmark that is due to vanish by end-2021 – and this massive transition may catch Asian banks wrong-footed with the speed of its phase-out. For the Mekong countries, including Thailand, Laos, Myanmar, Cambodia and Vietnam, 2018 was a big year both domestically and regionally. The United Kingdom’s Minister of State for Asia last week announced the launch of two programmes that will deliver a total of $43 million in funding to support low carbon transitions and economic reform in the Asean region. Tourists are paying higher prices in Southeast Asia’s key destinations as admission fees have been raised to pay for environmental conservation measures and infrastructure building. Bruised by global political and economic turbulence last year, foreign investors are now returning to Southeast Asian markets, encouraged by easing trade frictions, a more benign interest rate outlook and prospects of increased infrastructure spending. In the present globalized world, the economic corridors have become an important tool for regional cooperation and development. Russia’s “hard” power is generally well-understood. President Vladimir Putin has ensured this is the case, particularly through his proclivity to showcase Russian strength in Ukraine and Syria. 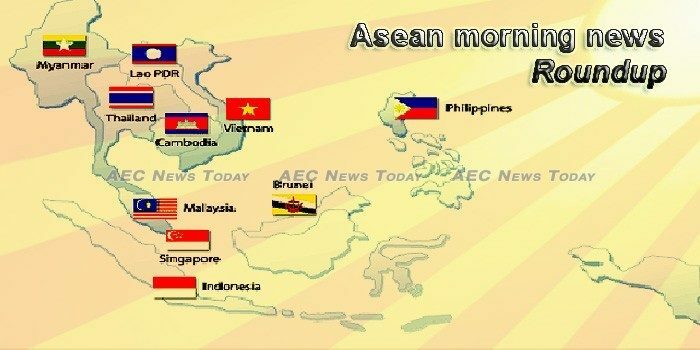 THE Association of Southeast Asian Nations (Asean) has a bright future ahead of it. Prime Minister Narendra Modi to inaugurate the three-day ASEAN Chambers of Commerce and Industry Business Meet in Bengaluru on February 25. Q3 2015 was a turning point for e27 when we introduced e27 Startups, e27 Investors, e27 Events and e27 Jobs, as a natural and strategic extension to our media platform. Around 30 people showed up to the Perspectives on the State of Journalism panel Wednesday evening to hear three panelists, each representing different Southeast Asian countries, speak on their experiences as journalists. Secondary schools from Indonesia, Malaysia, Singapore and the Philippines are set to meet from Feb. 21 to 23, 2019 at Lima Park Hotel in Batangas for the first Association of Southeast Asian Nations (Asean) Convergence Secondary Schools Summit (#AC3S) organized by Faith Colleges. The government has committed to continued efforts in improving the nation’s business climate as it plans to diversify the economic base and secure sustainable growth. SingPost is accepting the S$100,000 financial penalty imposed on it by the Infocomm Media and Development Authority (IMDA) for failing to meet service standards on delivery in 2017. Following the news that Malaysia ranks top for its healthcare system, opposition politician Lim Tean and former presidential candidate Tan Kin Lian took to social media to very publicly concur.